Mid-cut trainers that excel in wet weather. Inspired by turf and trail, these football trainers field a hybrid design. Adjustable lacing with extra midfoot support secures your foot while allowing it to move naturally. 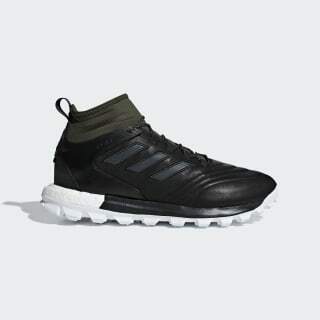 The outsole includes grippy rubber for superb traction while a breathable, waterproof lining helps your feet stay dry and comfortable in soggy conditions.